The 2018 edition of the Dallas Art Fair opens tonight! With so many leading museums in the Texan cultural hub, there's plenty to see beyond the booths. 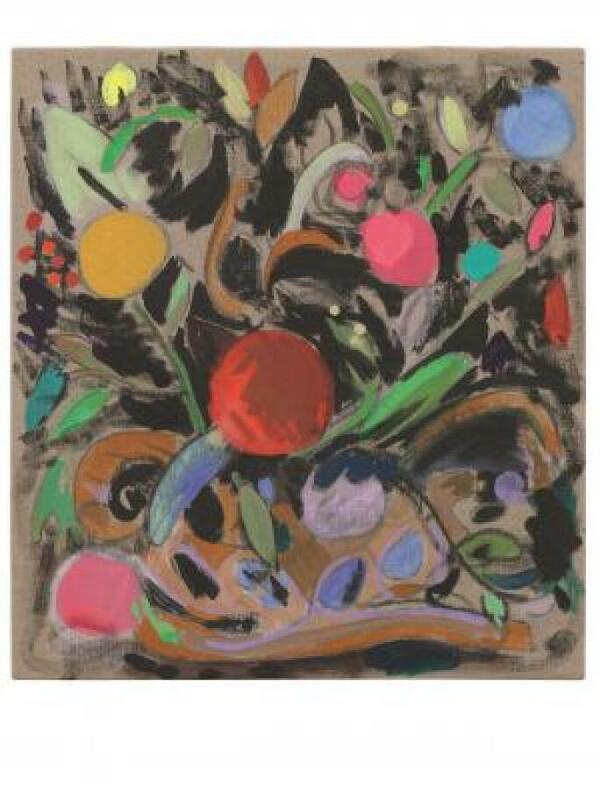 Sotheby’s Museum Network highlights Dallas’ must-see collections. 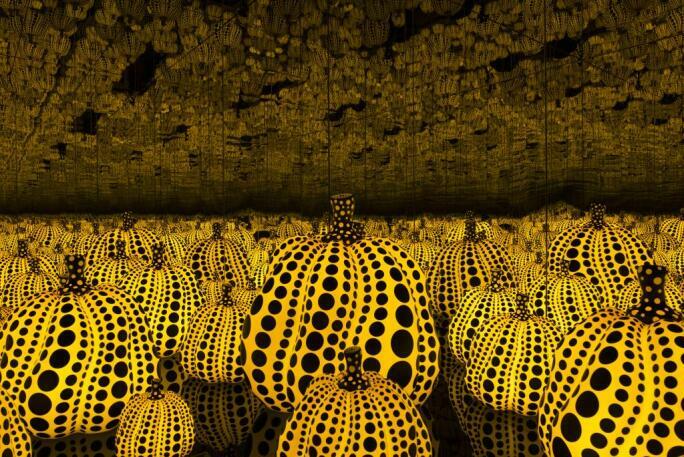 YAYOI KUSAMA, ALL THE ETERNAL LOVE I HAVE FOR THE PUMPKINS, 2016. There are only two weeks left to visit All the Eternal Love I Have for the Pumpkins, one of Yayoi Kusama’s signature Infinity Mirror Rooms at the Dallas Museum of Art. And, truly, what's better than a selfie amid glowing pumpkins to document your Dallas weekend? The only Infinity Mirror Room of its kind in North America, the work provides an immersive experience. If the line is too long, save time by exploring the Museum's distinguished encyclopedic collection. With 5,000 years of art history on view, there's something for everyone at the DMA. Don't miss the acclaimed solo exhibition Laura Owens, also on view at the DMA. This show looks back at Laura Owens' 20-year career and includes 60 works - from early pieces made in the mid-1990s to more recent installations and paintings. Her innovative practice experiments with figuration and abstraction and explores themes around pop culture, technology, and traditional painting. 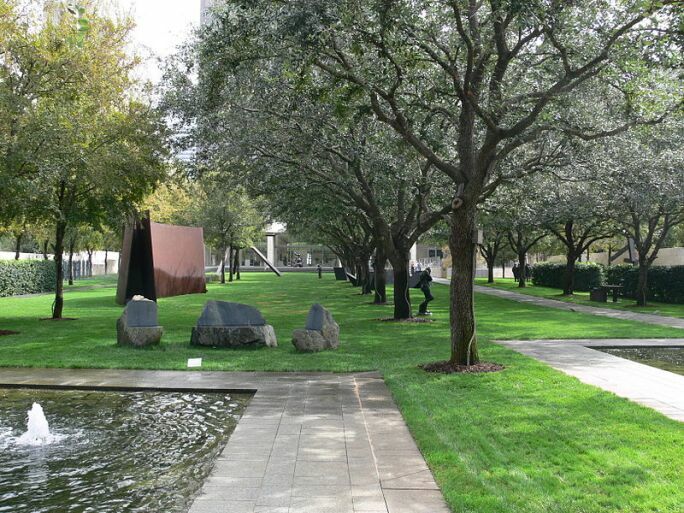 Take a break from the fair chaos and head over to the Nasher Sculpture Center. Housed in a luminous Renzo Piano building surrounded by a peaceful garden, the Sotheby's Prize-winning museum was designed to be an urban retreat in the center of the city. It is also home to one of the foremost collections of modern and contemporary sculpture in the world. From Calder and de Kooning to Matisse and Miró, all the modern and contemporary masters are well represented. The Nasher's special exhibitions explore forces that shaped the history of sculpture. For example, First Sculpture: Handaxe to Figure Stone, currently on view, presents the longest-used tool in human history as a work of art. Prehistoric or post-modern... the Nasher has it all. 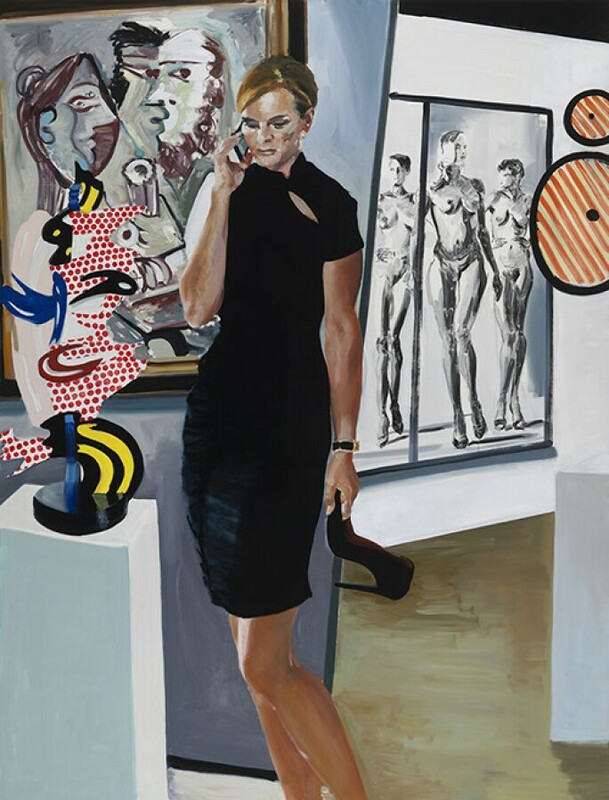 ERIC FISCHL, HER, 2016 © ERIC FISCHL, 2018. Housed in a converted factory building in Dallas’ Design District, Dallas Contemporary is a non-collecting museum that presents exciting and thought-provoking exhibitions. Each exhibition is specifically commissioned for the industrial space. This spring, catch the Dallas Contemporary's new exhibitions: If Art Could Talk is our top pick. The timely show investigates the art market through paintings by American artist Eric Fischl, whose work addresses commercial galleries and contemporary art. Also on view: 6 Fears highlights minimalist works by designer Harry Nuriev, founder of the Crosby Studios, while Carry me home, reflects on today's socio-political tensions and the rise of nationalism through sculptures by Sara Rahbar. 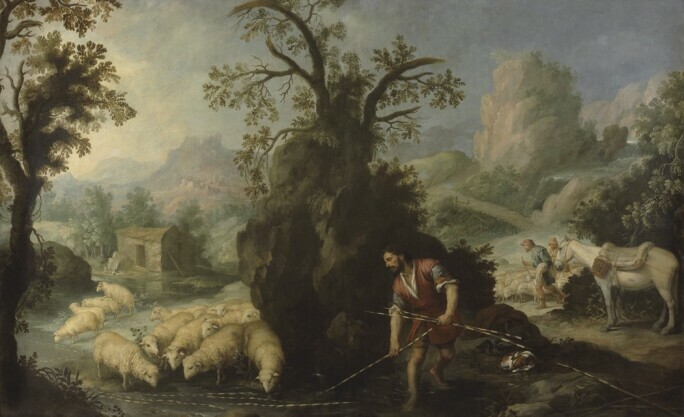 MURILLO, JACOB LAYING PEELED RODS BEFORE THE FLOCKS OF LABAN, c. 1665. MEADOWS MUSEUM. Immerse yourself in the art of Spain at the Meadows Museum, located on the campus of Southern Methodist University. With one of the most comprehensive collections of Spanish art on this side of the Atlantic, the Meadows is the go-to destination for Old Masters. Works by Diego Velázquez and Jusepe de Ribera are presented in innovative and unique installations, juxtaposed with Spanish modernists such as Pablo Picasso, Joan Miró, and Juan Gris. There's no better time to go than now. With Murillo's 400th birthday on the horizon, the Meadows is hosting the year-long special exhibition, Murillo at the Meadows: A 400th Anniversary Celebration. 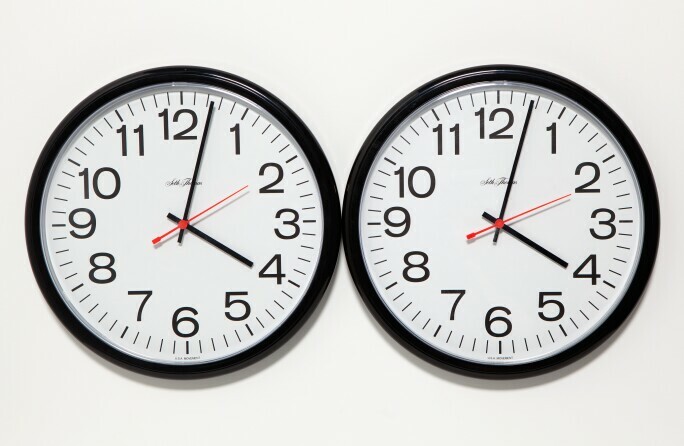 FELIX GONZALEZ-TORRES, UNTITLED (PERFECT lOVERS), 1987-1990. The Rachofsky Collection and the Dallas Museum of Art. The Warehouse was opened by Texas collectors Howard Rachofsky and Vernon Faulconer as a place to showcase their individual collections of contemporary art. The Warehouse's collection is comprised of 1,000 pieces of art that are displayed on a rotating basis in thematic shows. The current exhibition, DOUBLES, DOBROS, PLIEGUES, PARES, TWINS, MITADES, uses the literary device of the doppelgänger as a starting point to create an exhibition that explores themes around otherness, duplication, and repetition. The exhibition includes works by Felix Gonzalez-Torres, Laurie Anderson, Janine Antoni, Ellsworth Kelly, and Marlene Dumas. KAMROOZ ARAM, ORNAMENT FOR EXTRAORDINARY ARCHITECTURE, 2018. COURTESY OF THE ARTIST AND GREEN ART GALLERY, DUBAI. 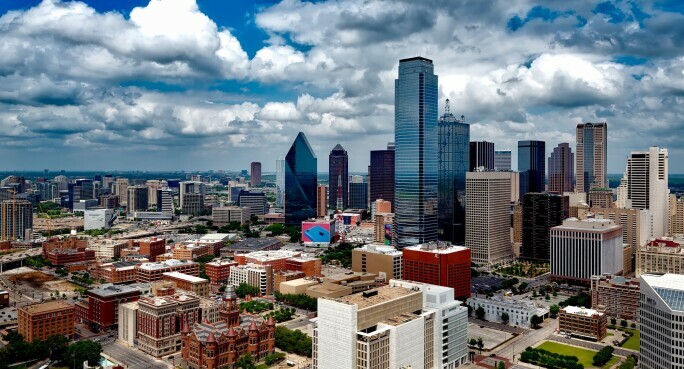 If you're looking for more, head to nearby Fort Worth - home to the wonderful Modern Art Museum. Our top pick of what to see? The exhibition FOCUS: Kamrooz Aram. Brooklyn-based, Iranian-born artist Kamrooz Aram's work challenges the traditional narrative of art history, promoting non-Western influences on modernism and abstraction. 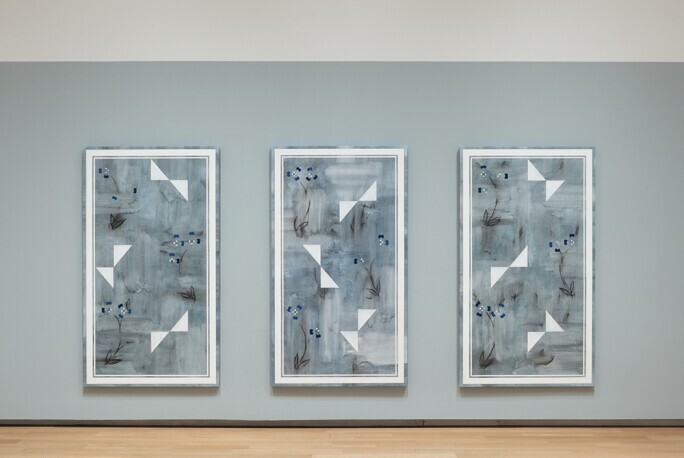 Through a presentation of new work, Aram continues to investigate cross-cultural connections through installation, sculpture, and painting. Of particular note are works like Ornament for Extraordinary Architecture, which relates pre-modern architecture to Suprematist painting.